S-113: How can I Grow My lashes And Eyebrows Naturally? I love using Castor and coconut oil for my lashes. My lashes just love this oil! My lashes really grow…long! I am quite uncomfortable using the over the counter and definitely the prescribed lash growers. It does take time but certainly worth the wait. 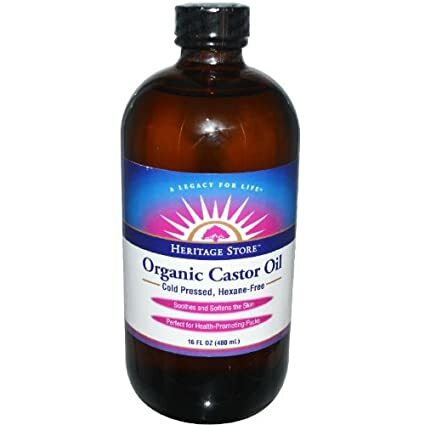 Organic Castor Oil; I use Heritage organic castor oil. Mascara wands from Sally Beauty store or you can purchase online. To learn how to grow your lashes listen to today’s podcast-Thank you for listening! Check us out on iTunes, Stitcher, Spreaker, Tunein and iHeart radio or Twitter, Instagram, Pinterest, aboutme.com or You Tube. Next Post S-114: How Does Acne & Hyperpigmentation Affect People of Color?